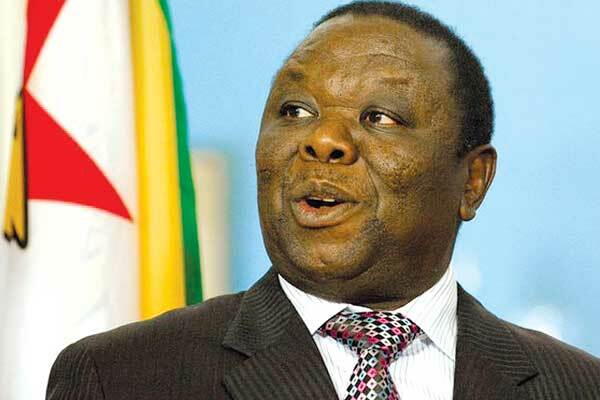 ZIMBABWE – GOD stopped MDC-T leader Morgan Tsvangirai from leading the country as he was going to bring the nation to total ruin, People’s Democratic Party (PDP) vice president Samuel Sipepa Nkomo said yesterday. Speaking at the launch of the party’s two policy documents in Bulawayo, Sipepa Nkomo said the country would be in shambles under the leadership of Tsvangirai whom he said lacked principles. “I’m sure God doesn’t want Tsvangirai to be president of this country. We want to thank God for not making him the president of this country otherwise it would be something else,” said Sipepa Nkomo. He accused Tsvangirai and some officials within the MDC-T of being adulterous leaders who pounced on married members. “I’m happy we’ve de-linked ourselves with the name MDC-T. In that party even if people are married, they want to be sleeping with married women in the executive. Stop this idea of having your zip always open,” said Sipepa Nkomo. The Tendai Biti led party launched its policy documents — Holistic Programme for Economic Change (Hope) and Agenda for the Restoration and Rehabilitation of Electoral Sustainability (Arrest) following the party’s congress held last month. Addressing party supporters Biti referred to the policy documents as the “answer book” to the country’s crisis. He disclosed that they were working with foreign donors who will fund them as soon as they got into power. “We’re the only party with friends who have money. We’re in constant dialogue with them because they know we want to come out with a solution for this country. “I wish I can give you my email and you see for yourselves the amounts that they’re willing to donate to us,” boasted Biti. He said the party would enter into coalition with other opposition parties and form broad alliances as it attempts to dislodge ruling Zanu PF from power in 2018 elections. President Mugabe has often criticised foreign funded parties saying they ceased to be masters of their own destiny. The President has said the parties would inevitably bring the country to ruin as they dance to the tune of their foreign masters.